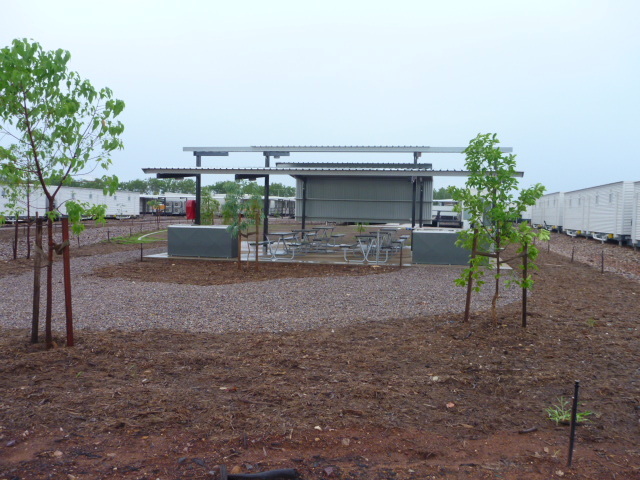 Lee's Building Contractors - Previous Projects - Lees Building Cotractors Northern Territory, Darwin, Rural & Remote. Bulla community is located 60 km west of Timber Creek in the Northern Territory. 15 homes were selected for refurbishment works, three of which have been classified as BER’s (beyond economical recovery). After negotiations with Government stake holders works were undertaken and 3 homes were returned to the community for re-occupation. 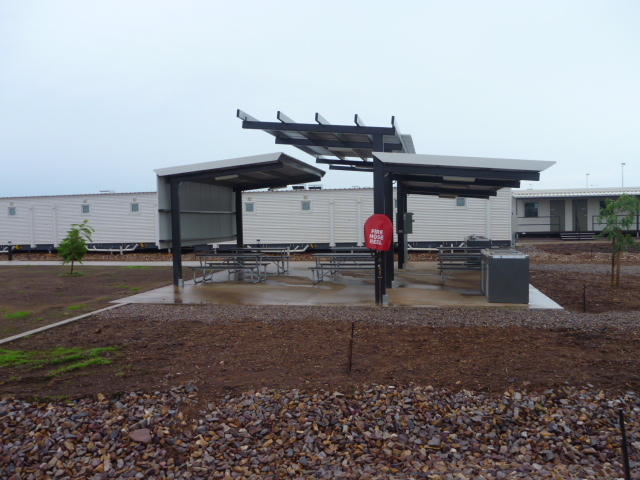 As the Superintendent for Package 11 my role was to manage refurbishments within 9 communities of the western half of the Northern Territory down to Lajamanu. This role included working with supervisors, subcontractors and direct labour on site to complete scoping of communities and buildings, material ordering and logistics management ensuring the success of the program, along with community engagement and liaising with key stake holders. The highlight of the Bulla Community Refurbishment was the engagement of 10 local indigenous to help undertake the refurbishment work. Port Haven Village is the benchmark of BHP Billiton accommodation in the North West of WA. Consisting of 1200 ensuited rooms, sporting and recreational facilities as well as three in-situ building, Mess Hall/Commercial Kitchen, Administration, and a commercial laundry constructed of structural steel and precast. This project was partially challenging in regards to manning and logistic as it could take up to six weeks to have personal and contractors mobilised and approved for site. Safety and safe working method and procedures were a must for this project. Lees Building Contractors involvement in this project was to provide site management, design and programming support, internal fit-out, commissioning, and handover of the facilities. Construction of this camp was to accommodate the construction crew undertaking the reconstruction of the Pannawonica Township for Rio Tinto. Project scope of work involved the installation of all in-ground services, transformer, HV power, installation of 30 accommodation units, laundries, administration, sporting and recreation buildings and facilities. Lees Building Contractors was engaged to project manage the installation of this facilities and to ensure a high standard of safety was maintained throughout the construction period, as well as weekly reports and client meetings. Geodynamics experimental Thermal Turbine Pilot Plant. 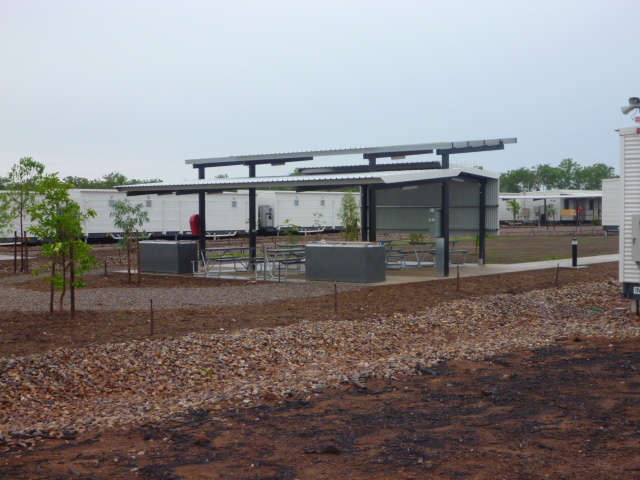 Building was constructed as a visitor information and scaled prototype for future alterative energy solutions and to power the town of Innamincka for a four year duration. Facilities comprised of a Turbine Hall, Visitor viewing area, Kitchen, Office, Workshop and First Aid facility. LBCNT played a crucial role in the construction of this project from taking possession of the site to handover of the completed project. Key roles undertaken were site management, structural steel set out and erection, internal fit out and finishes. This project was completed with zero harm out come, on budget, and early hand over. Given the remote location of the site, planning, logistics and staff were major consideration to running this project in a smooth and timely manner.